Your journey through typing technology mirrors my own experience. 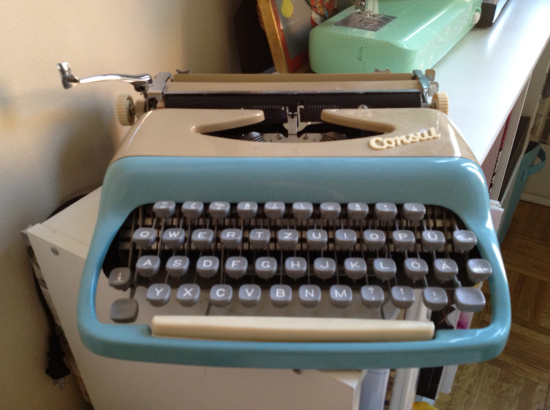 I remember all those versions of typewriters and the hassles involved with each. I had to pay someone to type my Masters thesis but, by the time I wrote my doctoral dissertation, computers had become widespread and I had an IBM-PC and did my own typing. I do love my computer . . .
Kerry, I’m wondering how many thousands of us made these transitions! At least by the time you got to the dissertation point, you had a computer available. Now THAT would’ve been fun with a typewriter!